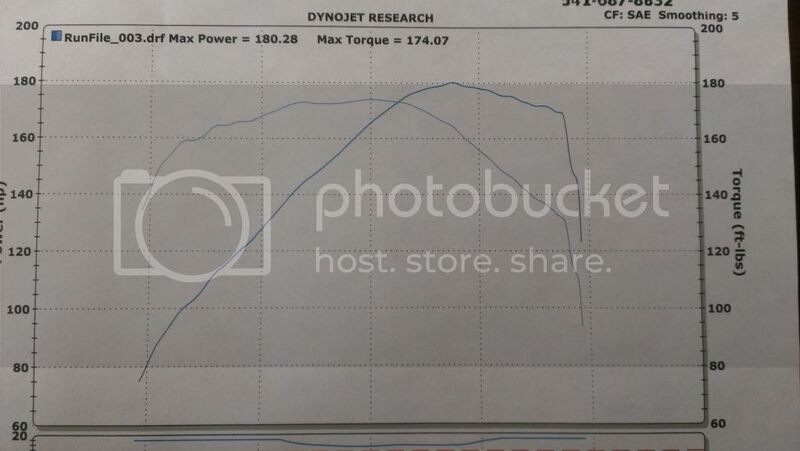 So here is my first dyno run with my car. I should have run before I started all my mods but didn't. It was Aug 25th. I was the second car on the dyno and apparently they had a bad wideband so changed it after my or my bosses run who was right after me, so ignore the AFR as it is incorrect. I also have vids though unfortunately from a distance and not right next to the car. Here is the link for them. The list of mods can be found here. The tune is very rough and very rich. wat mods do u have on the motor? Not bad for a ca18et. You goin for more power? yeah i just recently picked up a ca20 intake mani and am in the process of rebuilding my motor as the #4 rod bearing started to go so i am going with better stuff. i also want to make an exhaust mani with a new slightly larger turbo, oh and the 420 cc injectors from a mercedes. This is the link mind you my build started out to see how much the stock bottom end could hold before it popped. and then i went a different direction.